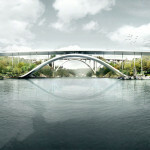 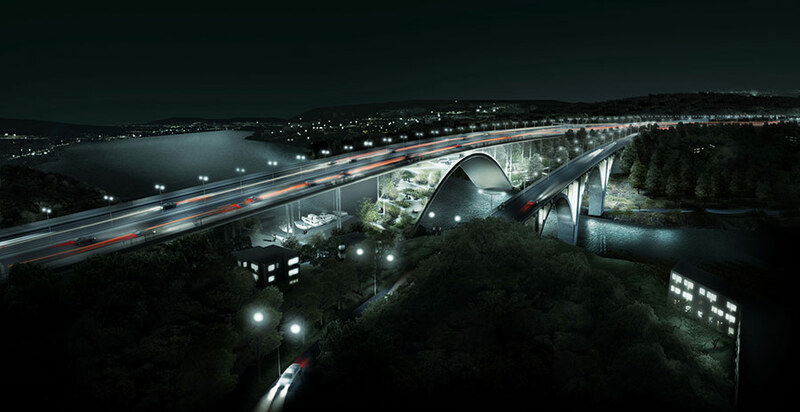 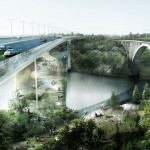 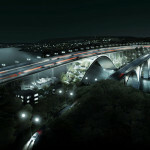 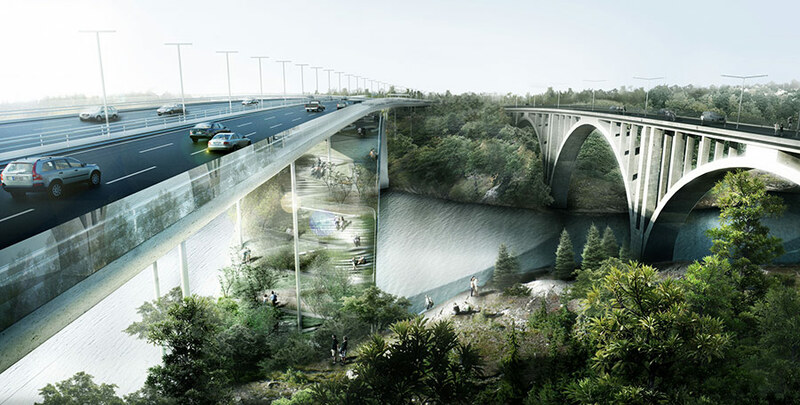 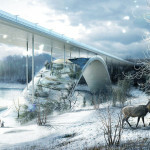 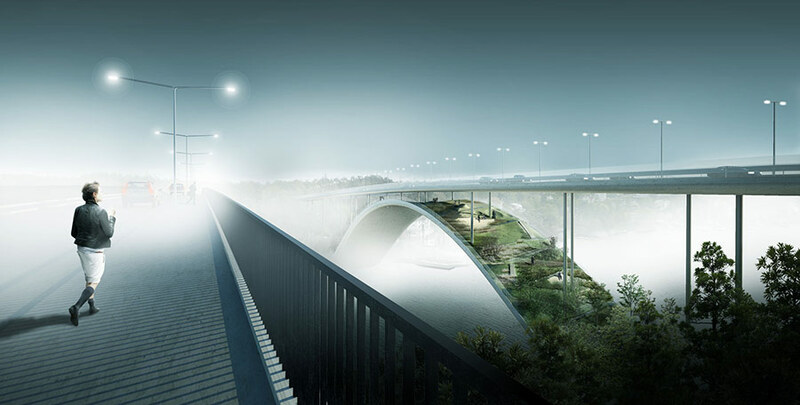 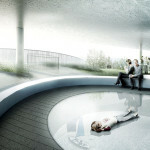 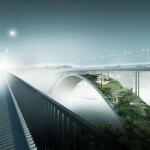 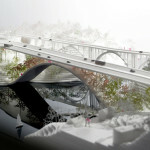 The Swedish Transport Administration launched a conceptual design competition in 2011 for a new bridge in Skuru, Sweden. 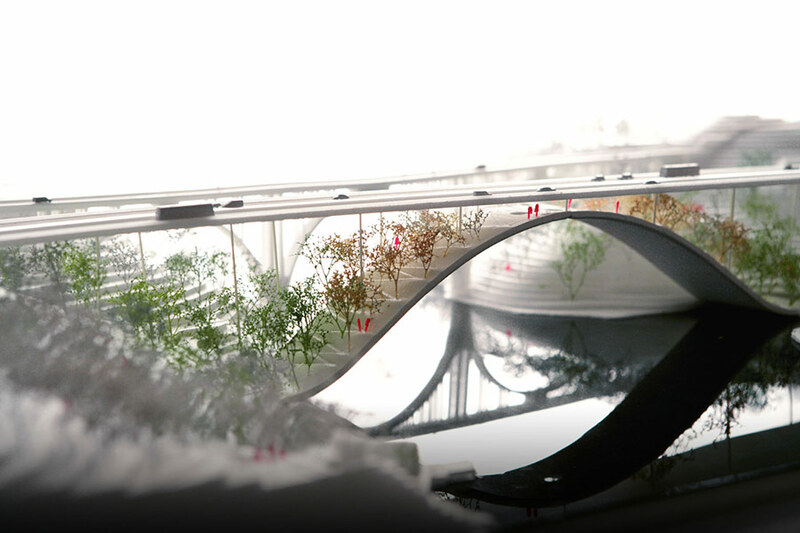 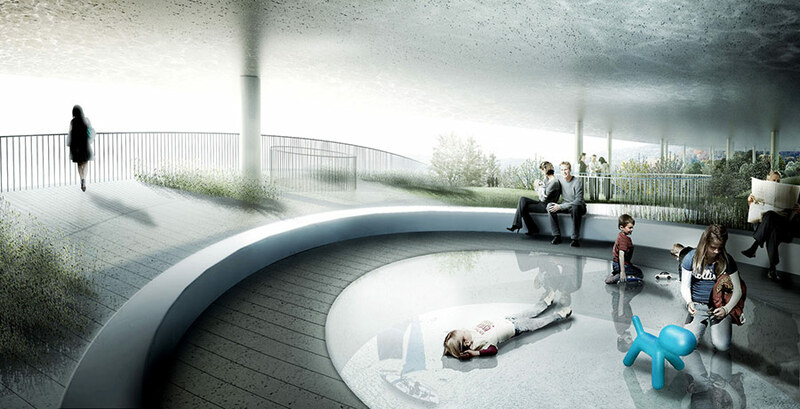 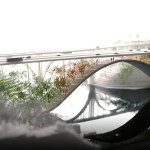 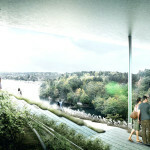 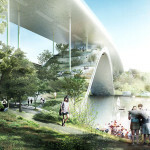 The competition received great national and international response, including one fanciful proposal by Danish firm, Bjarke Ingels Group (BIG). 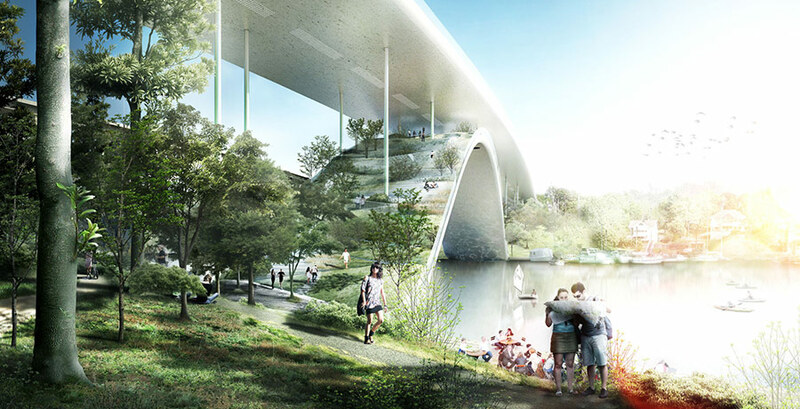 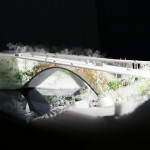 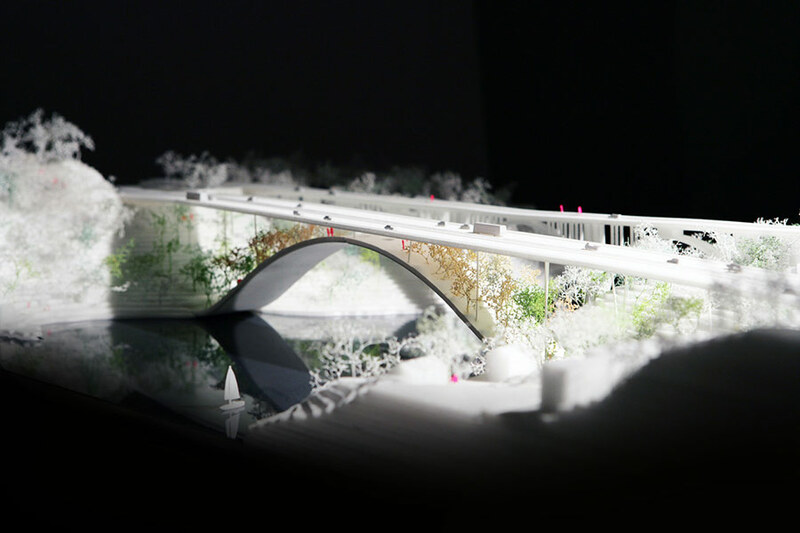 The competition brief stated that the new bridge should adhere to high aesthetic standards and coincide with the existing bridge and the surrounding valuable cultural and natural landscape. 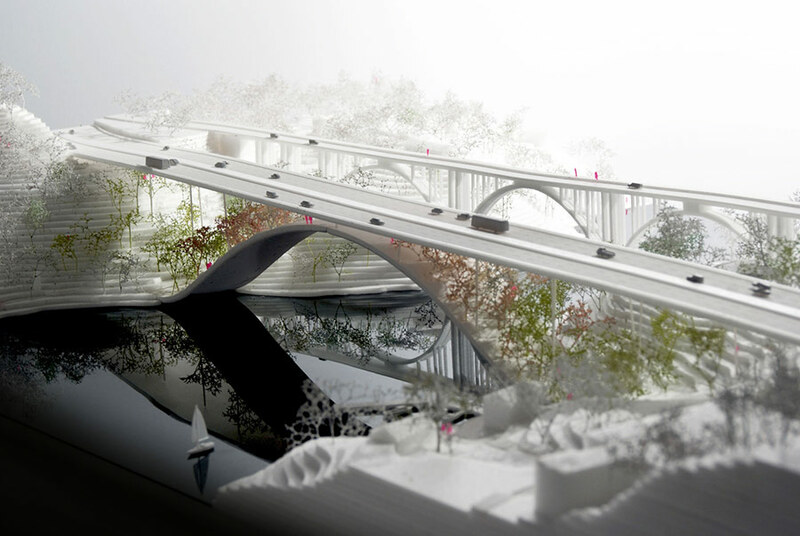 Ingels deploys his characteristic hedonistic sustainability to bring nature onto the bridge itself. 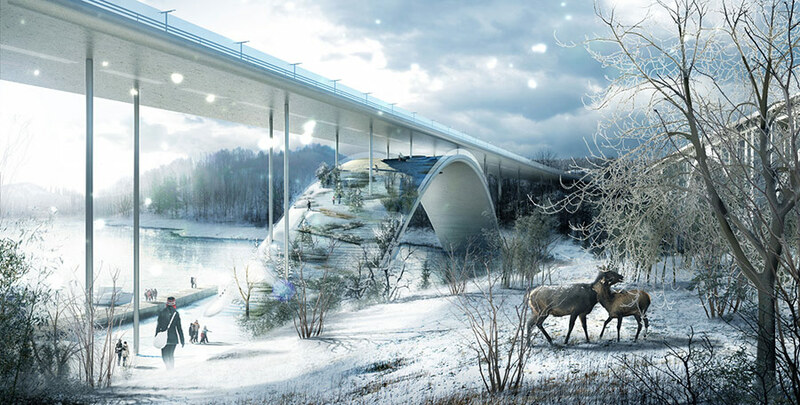 While the design only a concept, BIG has presented an innovative structure with the aim to create a symbiotic relationship between infrastructure and nature. 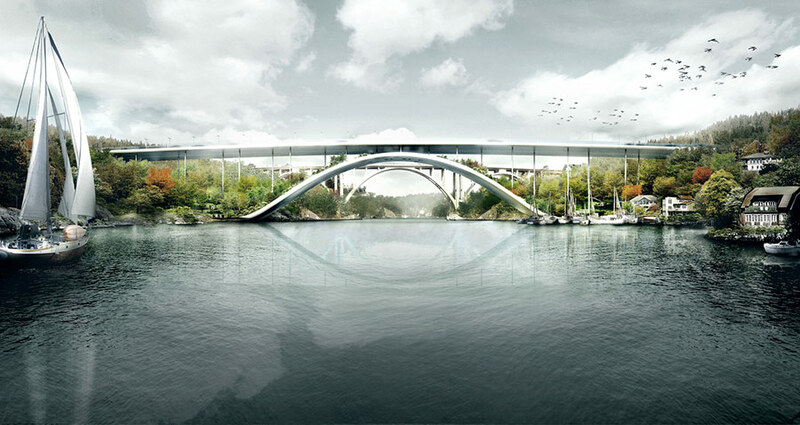 The bridge consists of three main elements: a lower level arc-shaped bridge, a linear road bridge above this, and ultra-slim columns which connect the two. 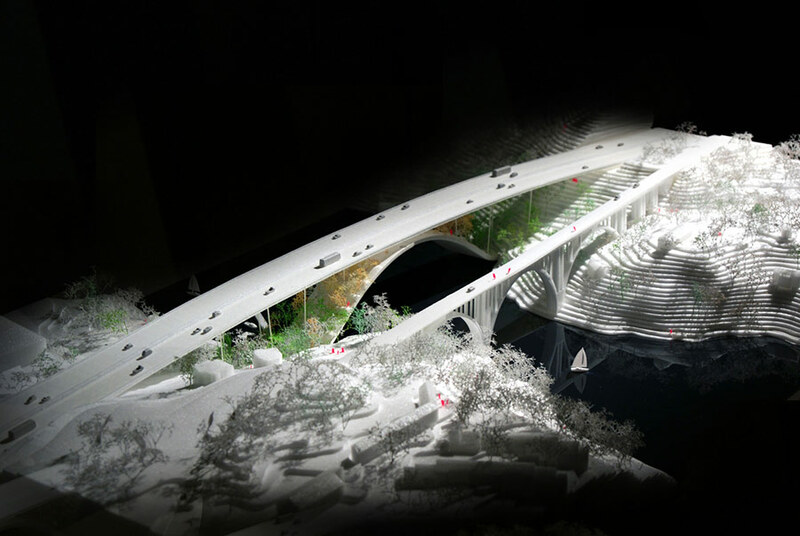 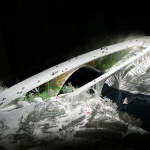 The arched bridge is a visual allusion to a hill between both sides of the strait and also responds to the arch of the existing bridge in profile. 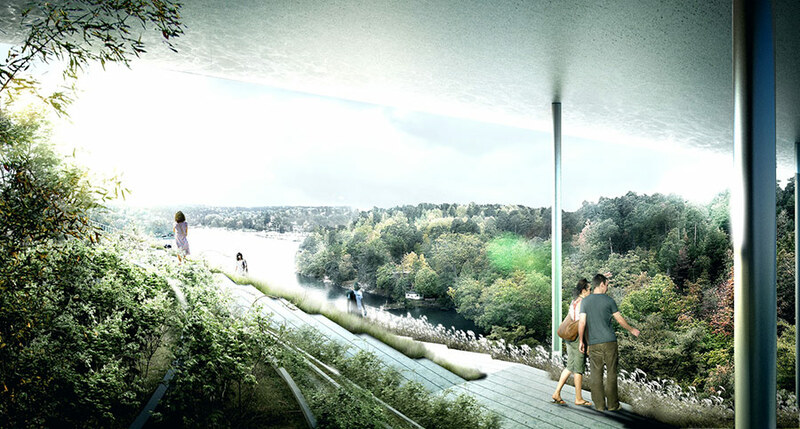 This space serves as a green pedestrian walkway filled with vegetation and creates an uninterrupted flow of parkland from one shore bank to the other.